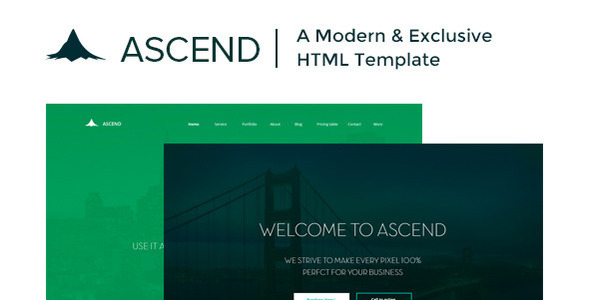 Ascend is a clean, modern, minimalistic and professional single page HTML5 template for any kind of business or portfolio. Ascend is fully responsive design ready to look stunning on any devices & it has been developed by using the Twitter Bootstrap framework. Note: Images used in this preview are for demo purposes only and not included in the downloaded package. This entry was posted in corporate, site-templates and tagged agency, business, clean, corporate, creative, flat, modern, multipurpose, portfolio, single page by Acty. Bookmark the permalink.